User experience and user interface are the most important aspects of an application or webpage. They’re the first impression a user gets and the biggest determiner in whether a user will return. The success of an application is largely dependent on UX UI development, which ultimately impacts not only how well the application performs, but the business as well. Strong usability design ensures a smooth and satisfying end-user experience and is the first step towards meeting business objectives. Providing a visually appealing design with effortless navigation for end users. Analyzing our client’s requirements and conceptualizes the design from the smallest details to the largest. Our UX UI designers can accommodate any needs, and can implement design applications on various platforms -- web, desktop or mobile. Our goals are to provide a strong user interface using web standards and concepts like Web 2.0 and Web 3.0, as well as design concepts like open layout width and flat design. 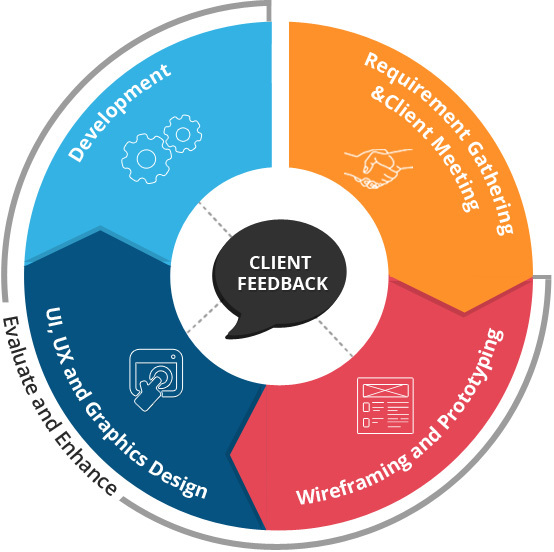 AllianceTek as a UX UI design company approaches any project by building an application architecture and a user-friendly design that can easily be navigated with a minimum amount of scrolling. We also maintain the right balance of text and graphics, and make sure that our design remains intact on all devices. We consider all aspects of UX and UI, including color usage, gestures, animation, graphical representation, social media integration, and most importantly user privacy. We also offer UX UI Design consultant services. Call us at 484-892-5713 now to discuss your application UX & UI Design requirements..